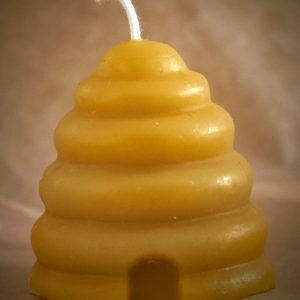 This is a one of a kind hand made ceramic and pure beeswax candle! It’s been completely hand made by a passionate potter here in Melbourne. 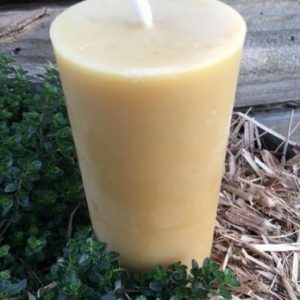 From start to finish it takes weeks to complete this wonderfully produced artisan candle. 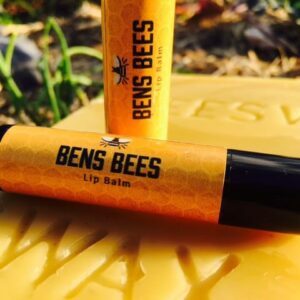 The candle is approximately 80mm x 90mm and you will receive over 20 hours of burning time which will give your room a subtle honey smell. It is not just a product, but you are buying a story. A story of love, a story of dedication, a story of 20 years experience and a story of smiles whilst this candle was getting made. Once finished and cleaned the vessel can be reused for many purposes. 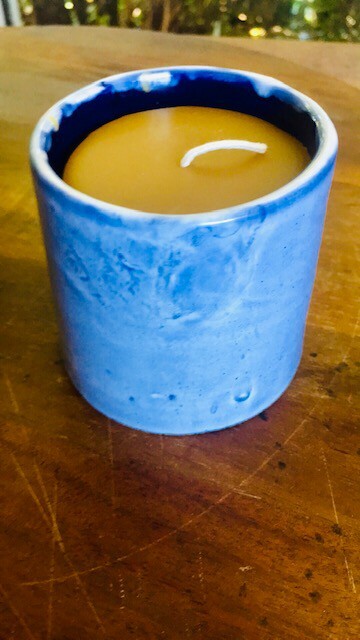 Thank you for buying this candle as it means a lot to the craftsperson who made it as they are proud to have produced it.